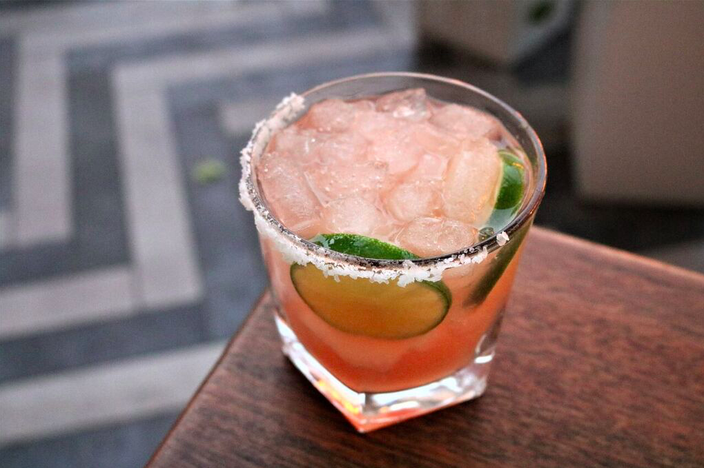 El Vez's jalapeno-infused strawberry margarita, garnished with a habanero pepper and a chili-salt rim. Feb. 22 is an important date to remember. It's National Margarita Day! On Thursday, bars and restaurants in Philly, the surrounding suburbs and New Jersey will offer deals and specials in honor of the best fake holiday in February. One chain restaurant will sell classic margaritas for $2.22. 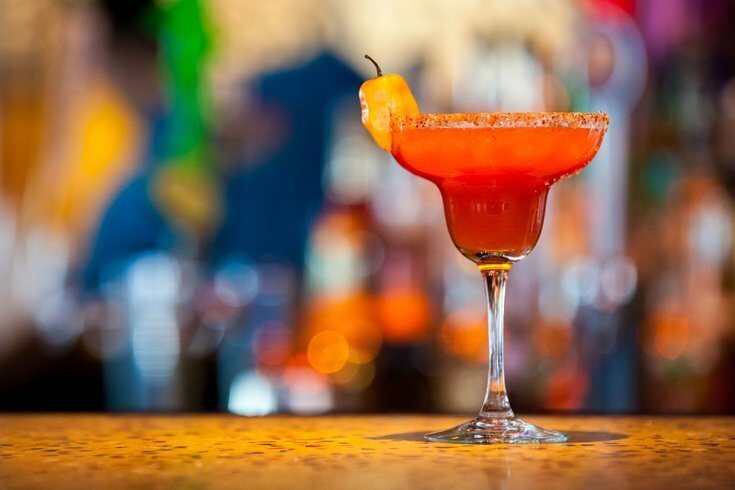 An Old City bar will have 35 margarita flavors. Patrón will be handing out samples in Ardmore. There are tons of options for those looking to celebrate the refreshing, crisp cocktail. Gather friends at Infusion Lounge in Old City to drink bottomless margaritas for $25 per person. There will be 35 flavors to choose from, including blood orange, watermelon-jalapeño, pineapple-ginger and strawberry. Register online and pay at the door. Bottomless will be available from 7 p.m. to 9 p.m. After, margaritas will be $5 each through midnight. 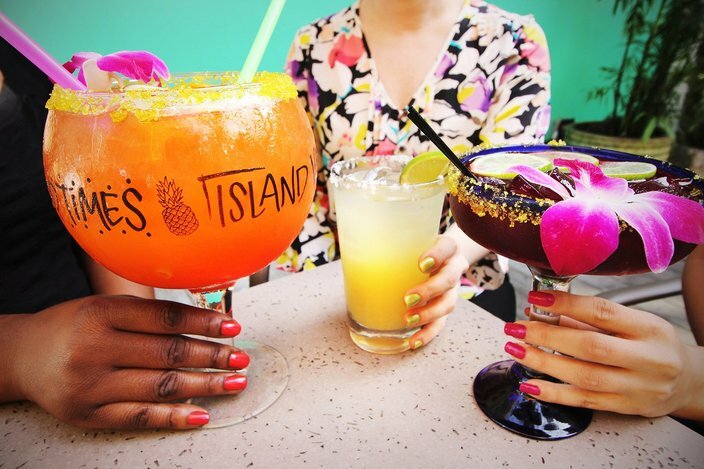 Bahama Breeze is launching a margarita-inspired beauty collection. Once again, classic margaritas will be $2.22 all day at Bahama Breeze on National Margarita Day. This year, Bahama Breeze is also launching a margarita-inspired nail polish collection, created in partnership with SOPHi. Each of the 39 Bahama Breeze restaurants nationwide will give away 100 bottles of nail polish, with purchase of food or drink, on Feb. 22. The brightly colored nail polishes will also be available online. They will be sold for $5 each. All day on National Margarita Day, this Mexican restaurant in Ardmore will serve $5 classic and frozen margaritas, as well as $8 Patrón margaritas. The tequila brand will also be at the restaurant from 5:30 to 7:30 p.m. to give out free samples. Celebrate National Margarita Day at this modern Indian bistro. From 5 p.m. to 10 p.m., purchase one of the four speciality margaritas made with Don Julio tequila and receive a free taco. The taco options are Veda's Chicken Achari Tikka Taco or the Masala Grilled Tofu and Peppers Taco. All day, El Rey will serve $5 classic, guava, mango and tamarind margaritas. The “Margarita Italiana” is an innovative take on the classic cocktail. 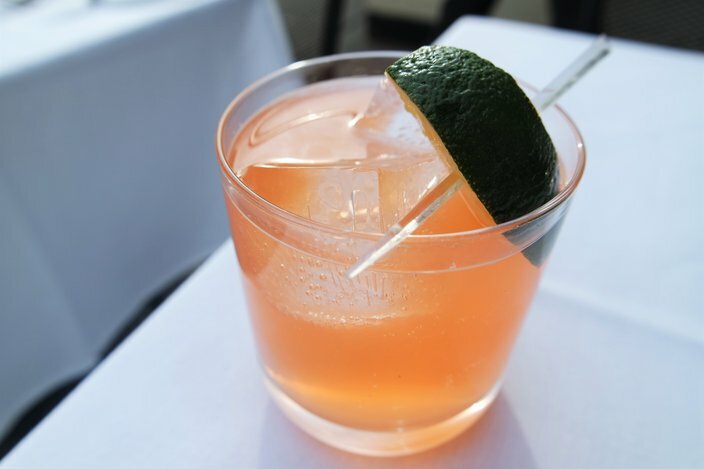 Enjoy an Italian twist on the classic margarita at Scarpetta Philadelphia. The signiture cocktail features Avion silver, Aperol, fresh grapefruit juice and a hint of lime. On National Margarita Day it will be $7, which is half-off the original price. All day on National Margarita Day, this Mexican restaurant in Center City will serve $5 margaritas. Landmark Americana, which has locations in Pennsylvania and New Jersey, will sell $2 "U Call It" drinks on National Margarita Day, beginning at 9 p.m. The house margarita is included in the special promotion. Landmark will also have a deal on burgers – buy one, get one free. At Valley Tavern on Feb. 22, enjoy a trio of margaritas with a trio of tacos for $16. Guests will enjoy the classic, pineapple-cilantro and bourbon margaritas, along with the chicken tinga, el pastore and short rib tacos. On Feb. 22, Tropicana Atlantic City will celebrate National Margarita Day with a margarita challenge at Olón. Bartenders from Tropicana venues will gather at the restaurant to pour their version of the best margarita. Guests can watch and vote on their favorite. There will be complimentary guacamole and chips to snack on, as well. Continental Atlantic City is bringing back the popular "Pineapple Express" for a limited time in celebration of National Margarita Day. The cocktail features mezcal, milagro, agave nectar, roasted pineapple and a volcanic salt rim. If none of those work for you, the local restaurants and bars below all serve delicious margaritas and many offer happy hour. A margarita from Ocean Prime.